KENNEWICK, Wash. – In 2007 J. Trinidad “Trini” Garibay was making a good living selling cars. But he saw an opportunity in real estate – flipping houses in particular – to create something collaboratively with people he knew and liked, instead of constantly competing. He formed a partnership with his best friend, plasterer David Magana, and another friend with general construction experience. Garibay would be the front man and handle most administrative tasks, and the other two would manage the job sites. Just about then the housing boom went bust. Rather than give up, they decided to pivot and do renovations. After the first year they were $45,000 in debt. Midway through the second year the partner with general contracting experience resigned for personal reasons. Elite Construction could have gone the way of so many other small construction firms during the Great Recession, which was out of business. But it didn’t. Instead, the company found its footing and started to grow—in multiple ways. 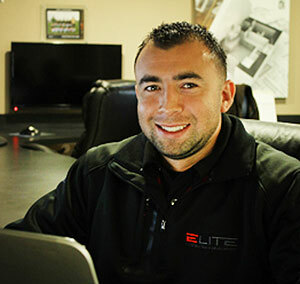 In just six years Elite has more than 30 employees, has expanded from central Washington to northern Oregon and Idaho and is bidding, and winning, multimillion-dollar jobs. 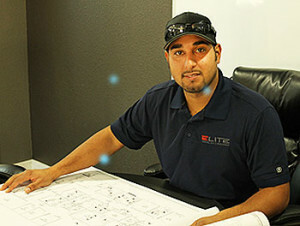 In 2013 Elite Construction & Development (http://elitecnd.com/) was named the Southeast Washington Minority Small Business of the Year. An online gallery of commercial and residential work and client testimonials peppered with words like “honest,” “dependable” and “professional” are two clues to the company’s success, but Garibay says there is a third factor: business advising from the Washington Small Business Development Center (SBDC). In the early days of Elite Construction, Garibay heard about the SBDC from a friend. He called Bruce Davis, the SBDC advisor in the Tri-Cities. “Bruce is a big reason why we are still in business,” Garibay said. The Washington SBDC (http://www.wsbdc.org/) is a network of more than two dozen business advisors located in communities across the state who provide free, one-to-one, confidential business advising to small business owners who want to start, grow or transition a business. The Washington SBDC is supported by Washington State University, the U.S. Small Business Administration and other institutions of economic development and higher education, including Columbia Basin College in Pasco. Starting a construction firm in 2008 was counter-intuitive, to say the least, Davis said, but he credits Garibay with figuring out Elite Construction’s target market and going after it. The immediate challenge was securing funds for working capital and equipment. At a time when credit was particularly tight, Davis helped Elite Construction get a loan for $150,000. It seemed like a huge sum of money, Garibay said, and at first he didn’t want to touch it. “But cash flow is very important; it’s the lifeblood of the business,” he said, and without the loan Elite couldn’t grow. In 2012 Garibay participated in a Profit Mastery class sponsored by the SBDC and facilitated by Davis. The curriculum, which is offered by SBDC advisors across the state, helps business owners gain a better understanding of financial statements and how they can be used to make strategic, proactive decisions. Especially when your company is growing as fast as Elite Construction is. While the construction industry as a whole continues to slog along at employment rates far below 2007, Elite Construction grew 670 percent in 2009 and has seen multiple years of 100 percent growth in revenue and employees. In 2012, Elite brought in about $2.5 million in revenue, Garibay said, and then doubled that in 2013. This year the company is on pace to increase revenue yet again. After starting small, on residential or commercial renovations, the company is going after large government contracts. The portfolio includes multifamily housing, several schools and libraries. What Elite Construction didn’t have in experience it made up for in customer service. No job was too small and no phone call was left unanswered. The partners built their reputation one job at a time, Garibay said, by only promising what they could deliver and always delivering what they had promised. That commitment to customer service is mirrored in Magana’s and Garibay’s commitment to their employees. That means continual coaching for improved skills and increased responsibility, public acknowledgement of outstanding effort or performance, paid time off or gift cards for excellent work, occasional one-on-one lunches with the boss, company barbecues and pizza nights and other team-building activities. Instead of a culture of suspicion and jealousy, Garibay said, he and Magana are working to lead by example and create a culture of respect and appreciation. Looking out for each other is a value that extends beyond customers and employees to the larger community. Elite Construction contributes to a growing list of community nonprofit groups and also intentionally works with women-owned and minority-owned businesses when possible. Though the company has climbed a mountain in the first six years, Garibay said he sees more challenges ahead, including the possibility of international work. “I’ve got a big vision and large goals,” he said, “but I think they are attainable.” Fortunately, his SBDC advisor is just a phone call away.